The first half of the nineteenth century saw a remarkable explosion of interest in natural history. Voyages of exploration fueled the fires of a popular scientific interest in the exotic natural world. The travels of Captain Cook and others became reflected in the appearance of the first comprehensive illustrated flora books as well as some of the finest ornithological and zoological books. The appearance of lavishly illustrated depictions owed much to the industrial and agricultural revolutions in Britain, which enabled the sale, and therefore publication, of very attractive and costly books. In France, Napoleon's patronage of the sciences had more to do with the production of impressive illustrated natural history but there too, by the mid-1820s, the nascent bourgeoisie was creating demand for expensive books. The invention of lithography at the turn of the century opened a new world for illustrators. It brought many advantages to the artist — ease of use, softness of line, and a new freedom to effect bold designs with a wide range of light and dark tones. Most of the fine natural history and ornithology books of the 19th century were prepared in folio format with hand-colored lithographic plates. First used for bird illustration in 1820, lithography was widely adopted by the best artists of the century. The technique was popular because the artist could draw his own illustration directly on the lithographic stone. Prints could be made from the drawing with no intermediary such as an engraver. Accurately reproduced and then colored by hand, the resulting illustrations gave the impression of original watercolor paintings. 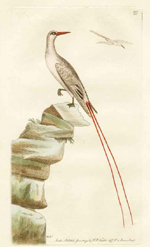 With lithography, the development of ornithological illustration reached its height. Even today, with all of the excellent methods of color reproduction available, the beauty of hand-coloring is rarely surpassed and is the reason why these prints or book plates are highly valued and sort after. Most of the prints were originally produced in parts for subscribers and the stones then destroyed or defaced. It was then up to the subscriber to bind the prints. It used to be that the books were only disbound when a volume had become damaged in some way. Now the great plate books are being disbound in order to retrieve the valuable prints. Always use [acid-free] mat board or some type of spacer to allow the piece to "breath." A hinged matting is also preferable. Items framed directly next to the glass can accumulate moisture between the glass and the item, causing "foxing", staining, and discoloration. Prints and paper collectibles are best preserved when matted and backed with a museum quality, buffered, acid-free mat board. Better frame shops will carry these mats, which are only somewhat more expensive than regular acid-free mat board. Never use regular or non-acid free matt board under any circumstances! It has a high acid content, and can cause serious damage to your item. Hand coloured prints must be framed using archival glass. Archival glass will keep out most of the UV light. Do not hang in direct sunlight. In the early part of the 19th century, two other forms of engraving which used acid to cut into the metal plate were used for some book illustrations, but the use was only occasional. The aquatint was formed by spreading a thin layer of resin over a metal plate and then the artist would engrave or "scratch" through the resin and the design on the resin was transferred to the metal plate when acid was applied — the acid would "eat" through the resin in the engraved areas and subsequently into the metal. This would produce a plate from which softer, almost stipple-like prints could be pulled as opposed to the harshness of copperplate engravings. In the 1840's chromolithography was developed and colored book illustrations and prints and all types of ephemera were produced in vast quantities — color and reproductions of fine art were now readily available. Previously most color book illustrations were produced by hand water-coloring of black and white illustrations — one could purchase the same books either colored or plain. Now, with chromolithography, it became easy for publishers to illustrate their books with full color plates. Chromolithography is the process of rendering images on stone or zinc plates, then inking them with color inks to yield color pictures. The chromolithograph was produced in much the same manner as a black & white lithography, but a series of stones was used for the application of many colors — a separate stone for each color used — and perfect "registration" during the printing process was essential — the paper must be placed at exactly the same registration point on each stone or subsequent colors would be misapplied. By the late 1850's chromolithographs became common as book illustrations and they really flourished in the 1880's and 1890's. Today's modern offset printing methods are similar to lithography (both are planographic techniques not relying on cutting or engraving a relief design), but use a paper or thin metal plate instead of a stone. was a technique for producing a wooden printing block with tools similar to those used for copper plate engraving in order to produce very fine, closely spaced lines. However, in contrast to a copper plate prepared for printing, the lines to pick up the ink and to be printed were left high, in relief, and the blank areas were cut away. Thus the lines forming the outlines and shading of the image could be printed with a standard printing press, and then hand colored. The wood used had to be very hard and fine grained, and so boxwood or pear were the preferred varieties. During the 1700’s another form of illustration begins to appear — the copperplate engraving — an engraving is accomplished with a tool called a burin or graver, a sharp, pointed tool used to "plow" or gouge a line in the copper. The other method using acid was etching which always has been used much more for production of prints rather than book illustrations. Etching is accomplished in much the same manner as aquatints with the substitution of a layer of wax for the resin. The acid "eats" through the wax faster where the engraving has been done and then cuts into the metal plate. In both etchings and aquatints the ink fills the channels cut into the metal and the surplus ink is wiped from the plate and pressure is applied to the paper (often moistened paper) during the printing process to press the paper into the channels containing the ink — this general process is referred to as intaglio printing. A process called lithography was developed in France in the late 18th century and was revolutionary for book illustrations — this process was an efficient way of making many prints of high quality from the same "plate". Lithography literally means "stone writing" — the stone being a block of specially prepared, very smooth limestone on which the artist or lithographer drew an image with an oil-based, greasy crayon. The stone was then flooded with solution of gum arabic to "fix" the crayon grease and next the stone was moistened with water and then oil–based ink was applied — the ink would adhere only to the crayon lines and not to the wet stone between the lines — a paper would be applied to the stone and a print or illustration would be "pulled" from the stone. The earliest form of book illustration to be used is the woodcut which is made by cutting the flat surface of wood along the grain with a knife or knife-like cutting tool. The cut is made on both sides of the line to be printed, leaving a ridge which becomes a black line when printed. For the remainder of the 17th century and most of the 18th century, the woodcut and an occasional small cut (illustration) done on type metal, are the only type of illustration. In the 1790’s another form of engraving became popular for production of book illustrations — the wood engraving. The graver or burin is used on the endgrain of a block of dense wood such as boxwood to leave a line which does not print — a white line rather than a black line such as the woodcut produces. If the engraver removes enough wood, he can produce black lines rather than white lines — most wood engravings show the use of both types of lines. The quality of a wood engraving, when done by a professional was far superior to a woodcut or even some copperplate engraving.